Mumbai Sep 16 (IANS) The Central government s measures to arrest the drastic fall in rupee are expected to steer the equity market trajectory next week. In addition market observers opined that high crude oil prices along with global cues on trade protectionist measures will impact investors risk-taking appetite. However a positive reaction is expected from investors on the various measures announced by Finance Minister Arun Jaitley to curb the widening current account deficit besides a policy to limit non-essential imports and to encourage exports. Devendra Nevgi Founder and Principal Partner Delta Global Partners said: "Next week s sentiment would be dominated by the announcements made by the government to rein in current account deficit and encourage foreign flows. "Measures taken though not drastic would have a soothing effect on the INR sentiment in the short term... but would not open the floodgates for foreign flows." In recent days geo-political developments over trade protectionist measures along with high crude oil prices and outflows of foreign funds have pulled the Indian rupee to fresh record intra-day and closing lows. "Despite sharp fall in rupee and consolidation in domestic markets we are outperforming other emerging markets. The reasons for this are revival in domestic earnings growth better economic data and softening of CPI " said Vinod Nair Head of Research at Geojit Financial Services. "However some risk factor like surge in oil prices strengthening of dollar and escalation of trade wars are creating headwinds for the markets. Considering this market is expected to be volatile in the near term. For the week ahead markets will closely monitor the outcome of economic review meeting this weekend." Last week the Indian rupee touched a fresh low of 72.91 a US dollar. However towards the end of the week it recovered to close at 71.85 on Friday weaker by 12 paise from its previous week s close of 71.73 per greenback. "Unless some fresh measures are announced next week risk remains that rupee can depreciate once again. The just announced measures though are significant in streamlining inflows through the respective markets will do little to help the rupee right now " said Anindya Banerjee Deputy Vice President for Currency and Interest Rates with Kotak Securities. "Rupee will be driven by trend of EM currencies against USD oil prices and RBI intervention. We expect volatility to increase and a wide range of 71.50 to 73 is expected over next week." Besides the direction of foreign fund flows is likely to impact the trajectory of equity market. In terms of investments provisional figures from the stock exchanges showed that foreign institutional investors sold scrip worth Rs 2 291.87 crore in the past week. Figures from the National Securities Depository (NSDL) suggested that foreign portfolio investors (FPIs) divested Rs 3 076.38 crore or $424.03 million in the equities segment during the week ended September 14. On technical levels the underlying intermediate trend of the National Stock Exchange (NSE) s Nifty50 "remains up". "Technically while the Nifty has corrected this week the intermediate trend of the Nifty remains up " said Deepak Jasani Head of Retail Research for HDFC Securities. "The uptrend is likely to resume once the immediate resistance of 11 760 points is taken out. Crucial supports to watch on the downside are at 11 431-11 250 points." On a weekly basis persistent depreciation in the Indian rupee along with high crude oil prices pulled the domestic equity market lower for the second consecutive week. 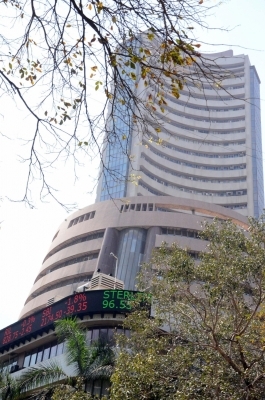 Consequently the barometer S&P BSE Sensex closed at 38 090.64 points lower 299.18 points or 0.77 per cent from its previous close. Similarly the wider Nifty50 on the National Stock Exchange on Friday ended at 11 515.20 points down 73.9 points or 0.63 per cent from the previous week s close.